You’re a business owner, and you’re busy. We get it. You don’t need to tell us twice. As a busy business owner, making infographics shouldn’t be a complicated and time-consuming process. The last thing you have is yet another ten hours to spare. At Venngage, we work hard to make sure that with every new product release, your experience using our infographic maker becomes more and more seamless. We constantly read your feedback and want to understand what frustrates you so we can fix it, and what makes you happy so we can do more of it. Over the past year we’ve brought you a number of different tools to make your content creation process fun, simple and effective. 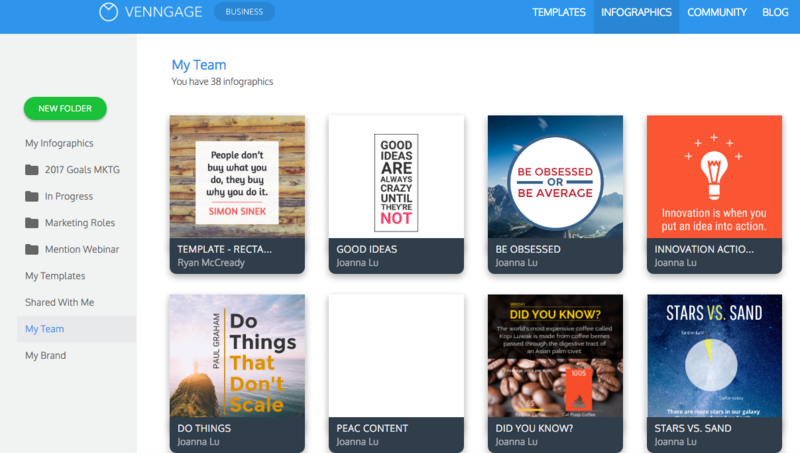 Klock.Work, and idea generator tool to help you come up with engaging and exciting titles for all of your infographics and blog posts. Beam, a simple chart maker that visualizes data in a matter of seconds for free. And now, our Venngage Business Plan. Why did we create another plan? Well, we understand that it’s difficult to manage a business, especially if you’re a one-person shop. Creating original and unique content that fits your brand is important. But how do you find time to design and create your own custom graphics while managing your company? We wanted to give you access to some new features that would save you time and effort. 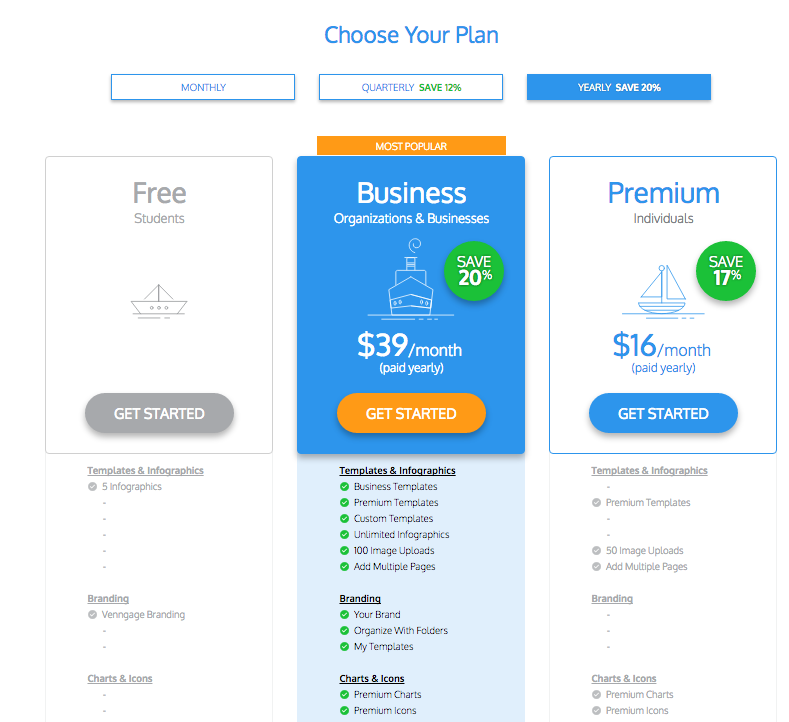 If you’re currently using our Premium plan for your business, you know that you have access to 80% of our templates, versus the 10% which are included with the free plan. 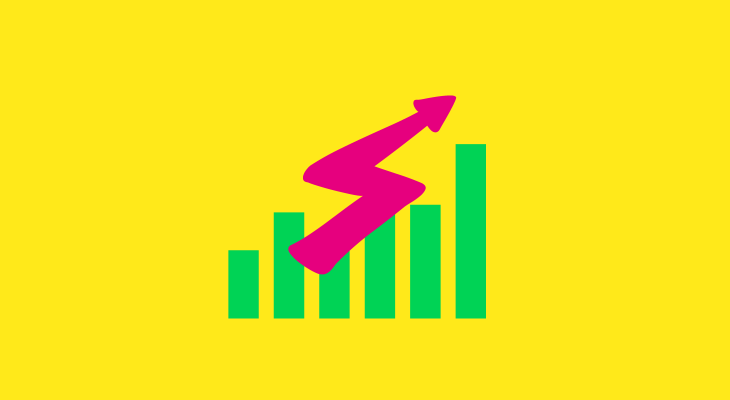 You also know that you have access to premium charts, maps and icons, plus you can create an unlimited number of infographics versus only being able to make five with the free plan. 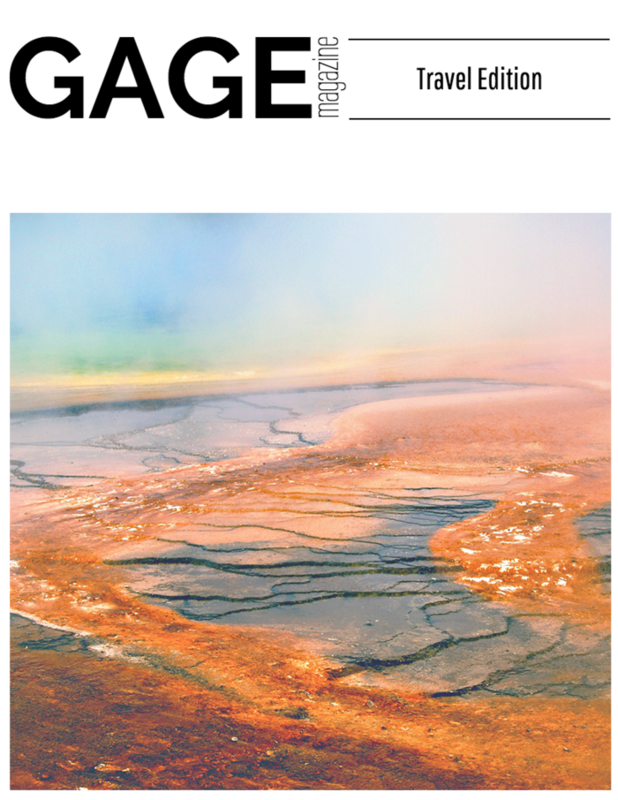 And your infographics include absolutely no Venngage branding, you have an increased image library, image uploads and you have privacy controls so you can share your infographics with specific people (Venngage users or not), and you know that you can export your infographics as a high-res PNGs or PDFs. 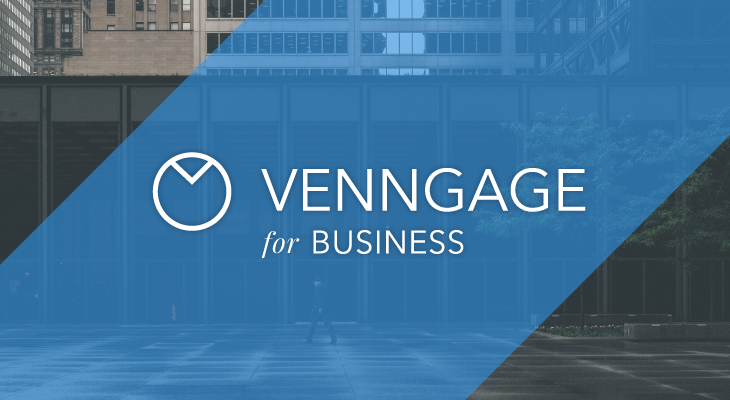 Well, the Venngage Business Plan has all of that and more. Why would you need to upload your logos if you already have an image library? Before, you needed to search through a massive image library to find your logo. If you’re like me, you probably just kept uploading your logo again every time you wanted to access it. But now, all of your logos can be stored in a separate logo library prioritized at the top of your image library for easy access. Just go to My Brand Kit and choose any logo of any size to upload to your library. You can already create and save color swatches in each of your infographics, but what happens if there is a color swatch you want to keep using for various different infographics? It’s frustrating to have to keep finding the right color and adding it to your swatch every time, right? 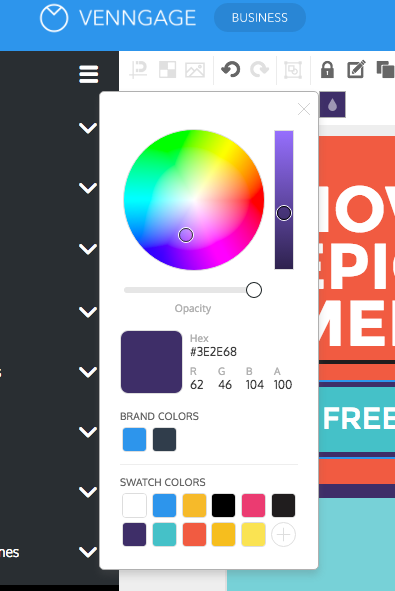 Well, with the branding kit, you can upload and save your brand’s colors for repeated use. Just like with your logos, your brand colors will always be ready with every new infographic you create, so you don’t need to waste time re-saving them with each new infographic. As you have likely noticed, every time you drag a text widget onto your page, the text is preset to a certain font style and size. If your company’s branded font is Roboto, for instance, you might always want your fonts to drag in as that style. That’s why we have eliminated this extra step in the business plan. 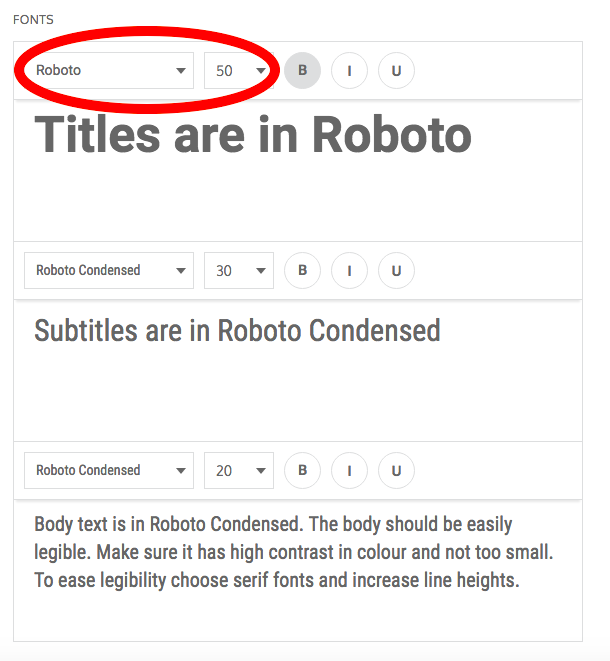 You can choose your title, subtitle and body text font size and styles, and save them so they fit your branding. You can choose to make the styles all the same, or all different. So the next time you drag in your title widget, you won’t need to edit it because it will be ready to go with your brand’s font choice. In addition to your branding kit, the Business Plan also allows you to add additional team members. You’ll also have the option of sharing infographics and custom templates between team members, so that the feedback and communication process easier. In addition to that, you will be able to create and save custom business templates that are available uniquely to you and your teammates. So if you’ve used a template in the past, and want to keep using it, save it to your business account so that everyone on your team can access it. 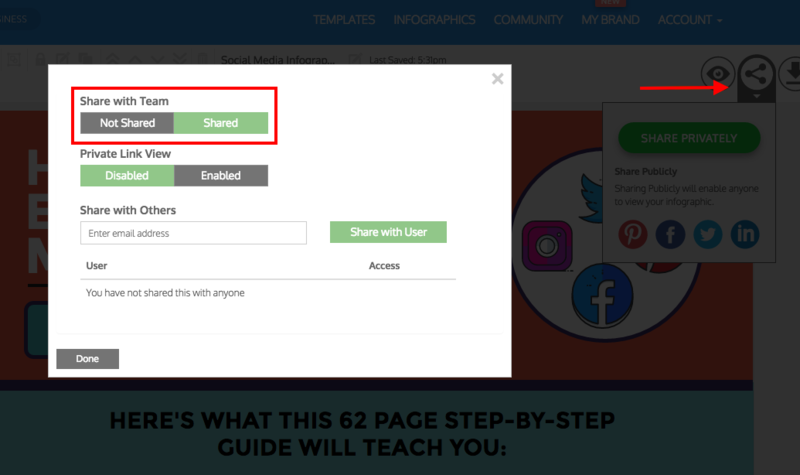 Just go to the infographic in question, select “Share Privately” and ensure that it is shared with your team. 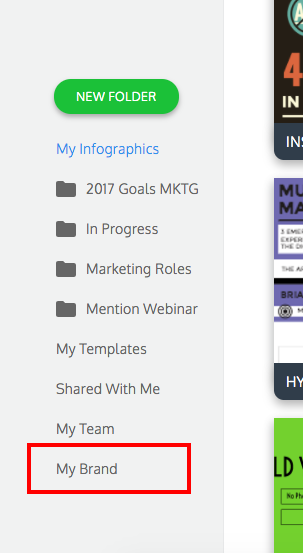 To view your shared templates, either select “Share with Me” or “My Team” to see what everyone has access to. The Business Plan also features exclusive “Business” templates including White Paper templates, eBook templates, presentation templates, and data-driven infographic and report templates. With the Business Plan, you also get access to the Folders feature, making the organization process of your infographics much easier. 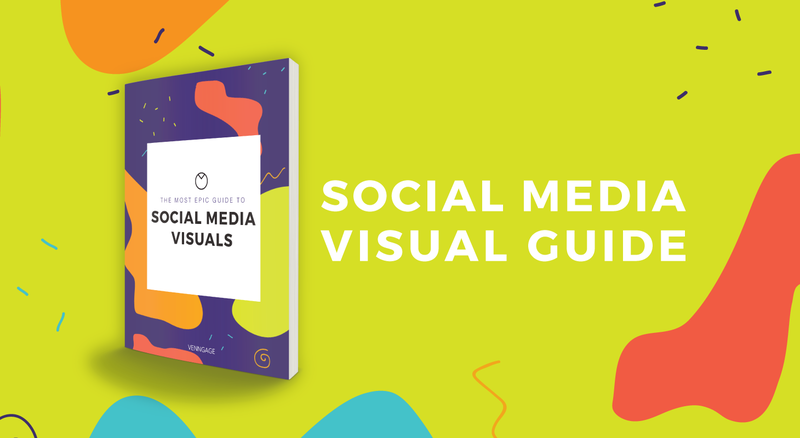 And if you’re like me and have over 500 different infographics, this can really save you time from sifting through too many options. 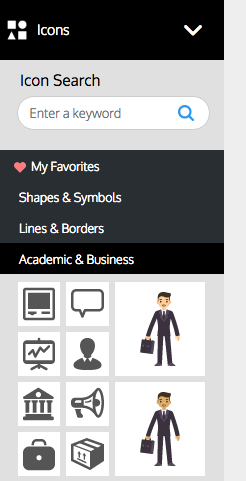 To access your Folders, simply go to your infographics page and select “New Folder”. 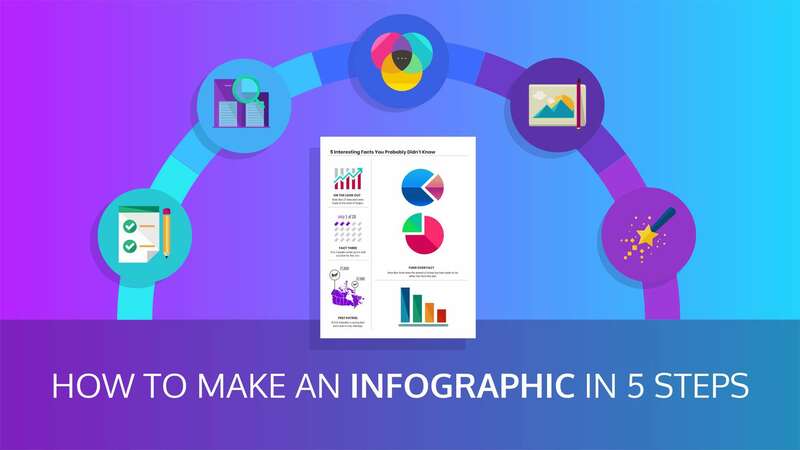 Another exciting feature is the unique illustrations that you can drop right into your infographic. These illustrations can take a boring infographic and make it look really professional and well-designed. Some of my favorites include this cool monkey, and this cute cat. 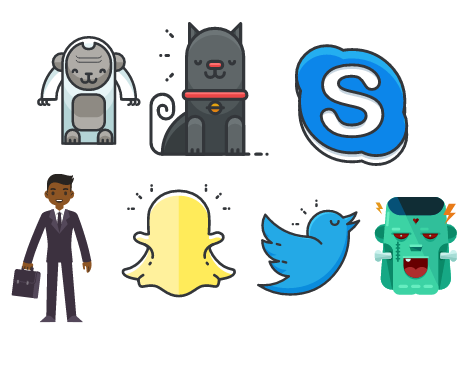 There are also some really well-designed social media illustrations. In fact there are THOUSANDS to choose from! Delivering the Tool you Need. 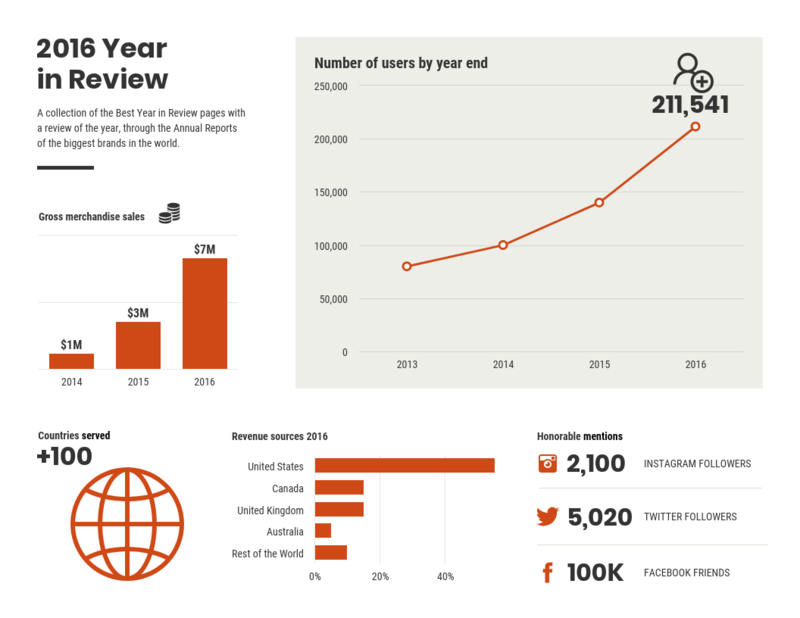 How to Make an Annual Report Infographic. 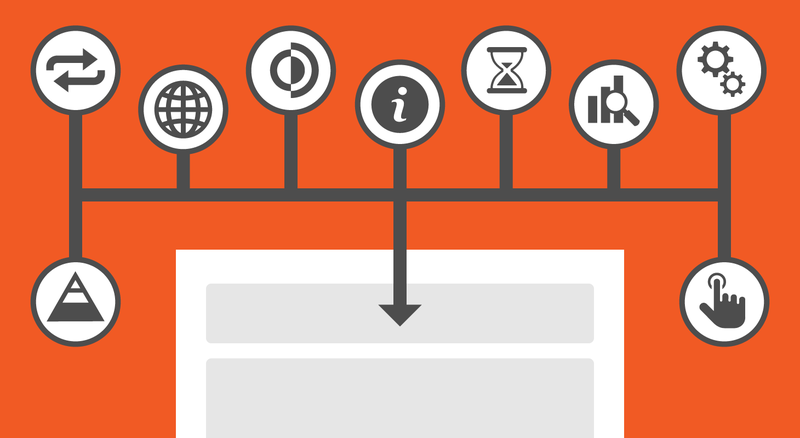 How to Turn Your Survey Results Into an Infographic. How to Make an Infographic Resume. The Ultimate Infographic Design Guide. And remember, your feedback is essential for us to develop the perfect tool for you, so keep the conversation going!